The Goal Trends Report analyzes Mom’s care goals over time. 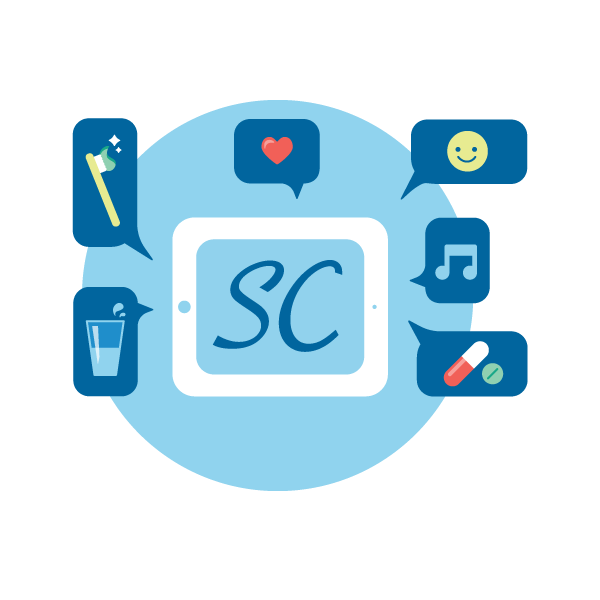 It collects care measure data from the Visit Assessment. Using this data, it creates a graph and chart for each care goal. 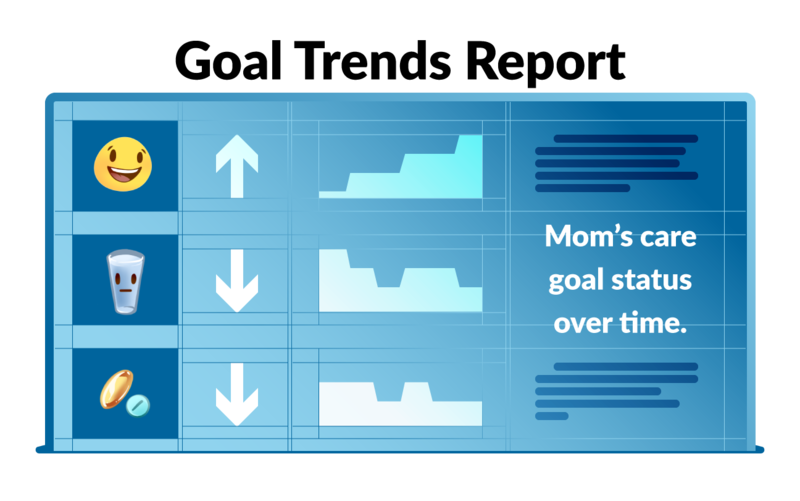 The Goal Trends report allows you to notice patterns and track changes in Mom’s health. You can also print the report and bring it to Mom’s medical appointments. The Goal Trends Graph shows the care goal’s change in status over time. This graph will show if Mom is improving or declining in her care goal. It will also depict how fast it’s changing. For example, Mom’s medication graph has a steep-sloping line pointing down. That means she’s suddenly having trouble taking her medicine on time. Her pain graph is slowly sloping upwards. That means she is feeling less and less pain each day. These graphs give powerful insights into Mom’s health. 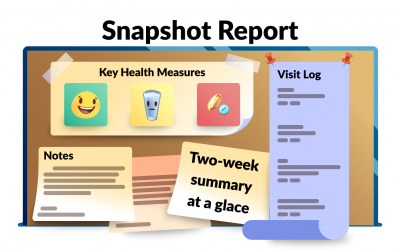 The Goal Trends Chart shows a list of care measures, who recorded them, and when they were recorded. This chart will allow caregivers to glean additional information that the graph cannot provide. You can see exactly when the changes in care goals occurred or who’s been reporting the measures. 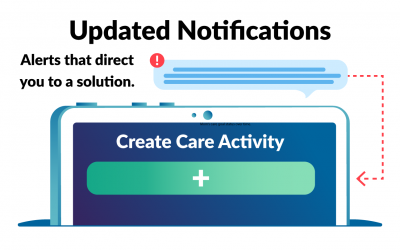 The Goal Trends Report allows caregivers to predict potential problems. Addressing them before they occur or get worse. For example: Mom’s hydration measure declines, followed by a rapid decline in sleep and pain measures. This could mean Mom’s lack of hydration caused her to have a UTI (Urinary Tract Infection). She can’t sleep through the pain and she keeps getting up to go to the bathroom. She’s at risk of a serious infection. She’s prone to a potential fall incident if she keeps going to and from the bathroom all night. These graphs can help you predict the problem and find a solution. In this case, if we catch the decline in hydration and address it quickly, we could prevent Mom’s UTI from happening. This report is meant to inform medical professionals about potential problems. 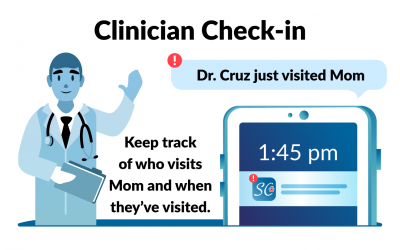 It warns caregivers which aspects of Mom’s healthcare need attention. Together we can catch Mom before a crisis.